On the Refined Feline Cat Clouds Blue Cat Shelf, you cat will appear to floating on clouds along your wall space. Let them lounge on super-strong metal platforms with soft comfortable pads covered in faux sheepskin fabric. The pads' magnetic bottom permits easy replacement if worn. 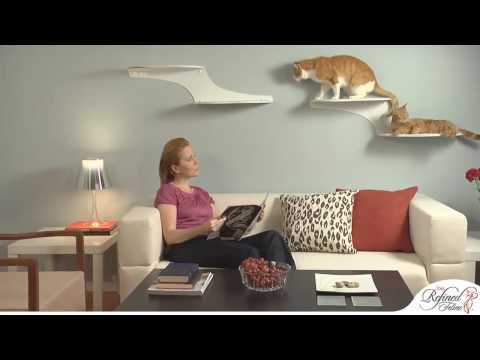 It frees up floor space while giving your cats a place to climb and perch. quality items made in the USA!! !